Today we’re delighted to release a fistful of new updates. 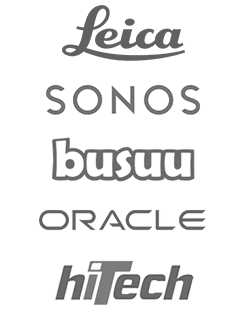 We know these will make our service even more game-changing for our customers. 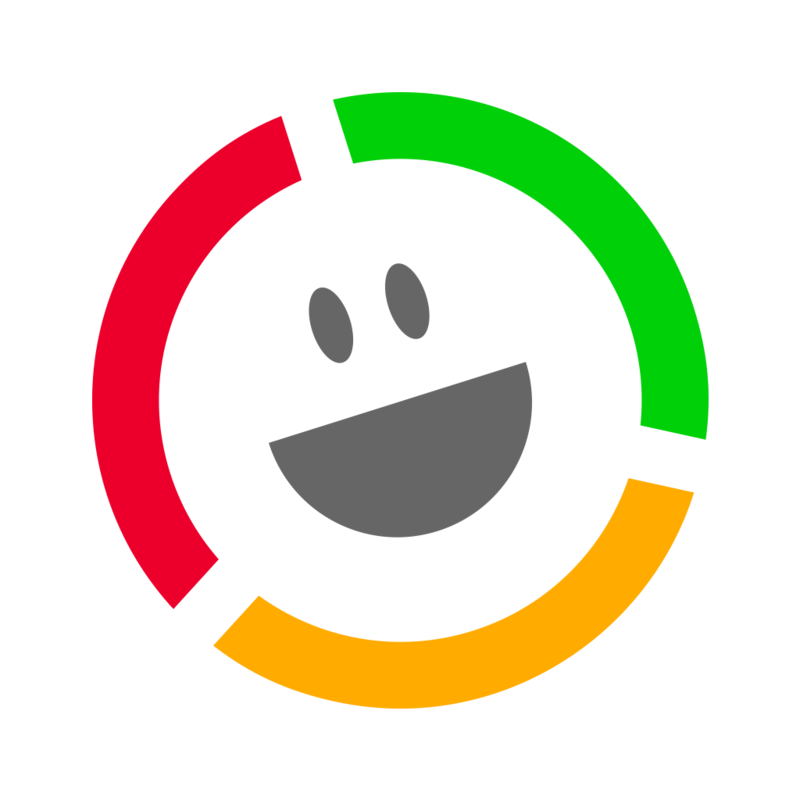 Our vision is to make Customer Thermometer a ‘gateway survey’… an app where triggers can be made, when responses occur. For 6 years, our philosophy as been to provide provide real time, proactive responses for customers, so that action can be taken. That action could be rewarding staff, customer service recovery and everything in between. This quick reaction has always been possible with the service and we’ve heard many wonderful stories over the years of customers reacting to responses, taking action and delighting their customers. Today sees a massive step forward in this philosophy, where we can now place even more power into our customers’ hands, to now take automated actions, based on responses received, with the launch of Customer Thermometer’s webhooks. This is a project we’ve been working on for many months behind the scenes, involving a number of customers and looking at best practice across the industry. Today, this new feature is available to all our customers and trialists. We believe we’re the first provider of our type of offer this feature. And we’ve decided to offer webhooks across all plans, to enable everyone to benefit from their power. Put simply, webhooks allow customers to automatically trigger actions with 3rd party applications, (whether SaaS or on-premise / legacy etc) when something happens inside their Customer Thermometer account. We know this is something customers will be excited about. For those 3rd party tools where we don’t yet write responses back directly into it – you now can (with the help of Zapier). In the example below, we’re pushing ratings and comments into Freshdesk’s excellent support desk. 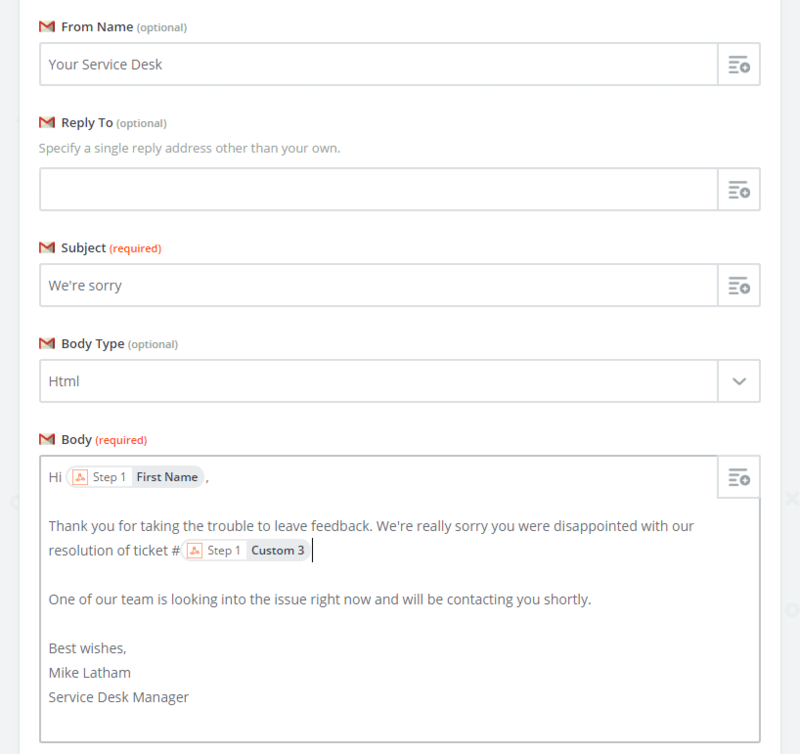 In addition, you can now connect Customer Thermometer responses and comments into legacy systems – create ‘endpoints’ within your internal helpdesk and push your responses directly into it. In short, the world’s your oyster when it comes to triggering events, based on incoming Customer Thermometer ratings. For more detail on webhooks and how to set them up for your account, visit our User Guide here. Continuing with the theme of Customer Thermometer being a gateway survey, today, we’re also delighted to announce new ConnectWise integration functionality. This screenshot sums up what is now possible. 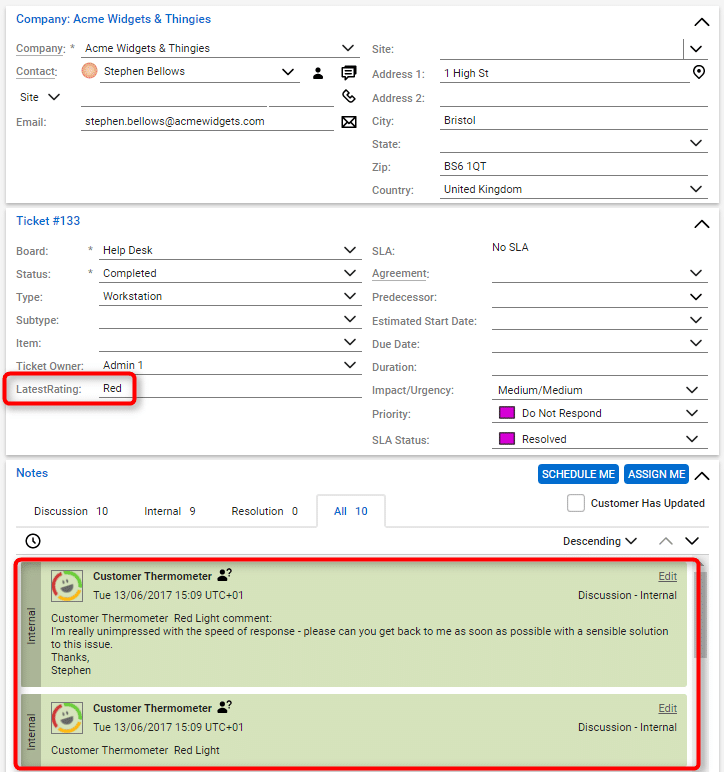 It’ll no doubt make many of our existing ConnectWise integration customers extremely happy! 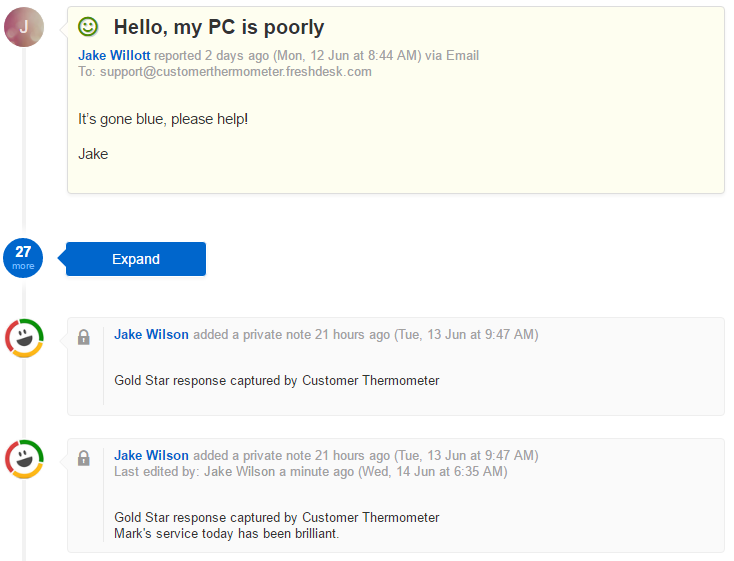 As you can see from the screenshot, it’s now possible (with a 10 minute one time setup) to push your ConnectWise Customer Thermometer ticket ratings back inside ConnectWise directly. Whilst ratings continue to be stored inside your Customer Thermometer account, ready for analysis, you can now also see them directly on the ticket. Ratings will appear against a custom field, “LatestRating”, which means you can then trigger workflows and run reporting from within ConnectWise based on that custom field. In addition, as you can see from the bottom of the screen, ratings and comments are also shown as internal comments too. You can find out how to set this up on our ConnectWise integration instructions page. ClickBlocker was released in June 2016 and has been essential to some customers who wish to stop internal staff rating themselves. For others, it’s helped to block unwanted virus checking ‘clicks’. Until today, it was only possible to add individual IP addresses and user agents. From today, it’s now possible to add IP address ranges – a big step forward in protecting accounts against unwanted responses. 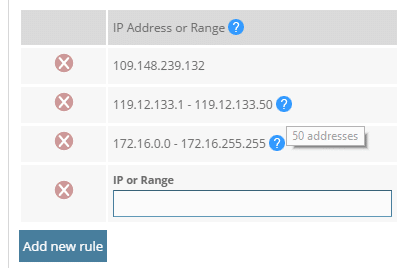 In addition, you can now block a specific user agent for any IP address. This is great if there’s an unusual virus checker bot activating responses from random IP addresses. Also, you can block delete any responses that have caught by a particular rule. This is great if you don’t want to keep them – and as an added bonus, you will automatically get your credits added back against your account! You will find ClickBlocker within the settings area of your Customer Thermometer account. And finally, whilst they are the three big new features in this current release, there are a number of additional fixes and enhancements also included behind the scenes. We hope you take the opportunity to try these new features out. As ever – do let us know what you think!